“Telling Our Stories: Japanese Americans in the San Fernando Valley, 1910’s - 1970’s” unveils the forgotten past of Japanese Americans living in the San Fernando Valley. The history of the Japanese Americans in the San Fernando Valley is not well documented, despite their significant contributions. Approximately, 3,200 Japanese Americans lived in the San Fernando Valley, prior to their internment. Most were farming families who struggled to make a living in an era of intense racism. The Alien Land Act of 1913 along with local laws were just some of the attempts to limit where Japanese American farmers could farm, and maintain San Fernando Valley's predominately White population. Japanese American farmers were a major part of the California agricultural economy, growing various fruits, vegetables, as well as flowers. They were largely responsible for turning California’s “wasteland,” into the agricultural Mecca that it is known for today. After the bombing of Pearl Harbor, many were falsely suspected as being the enemy. Forced to evacuate, Japanese Americans experienced severe loss including land, property, and personal belongings. Family photos and documents were often buried, burned, or lost. After internment, many returned to their farms only to discover that their farms had been taken away or their property destroyed. Some continued to farm while others took on new professions such as gardening. Silence was a popular coping mechanism for moving on with their lives. 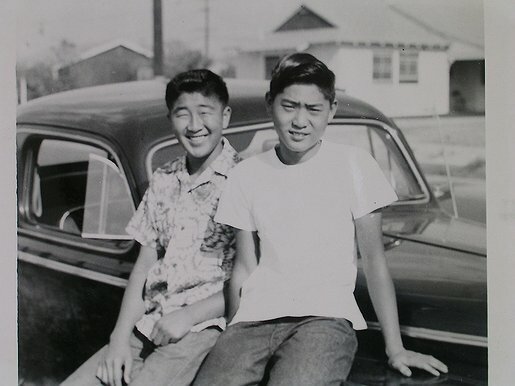 This CSUN Asian American Studies service-learning project, working in partnership with the San Fernando Valley Japanese American Community Center uncovers this buried past through the collection of oral histories and rare family photographs. These stories add another chapter to California’s rich history. CSUNAsianAmericanStudies — Last modified Feb 20 2019 8:50 a.m.